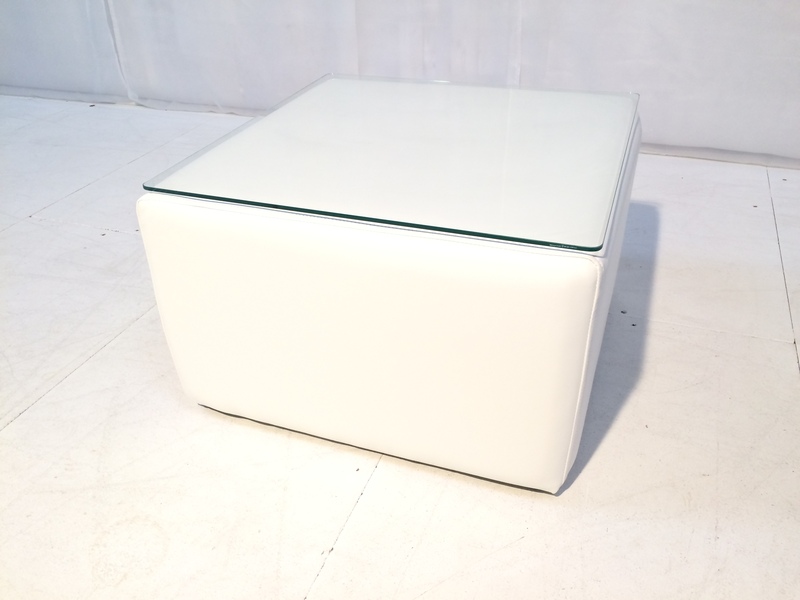 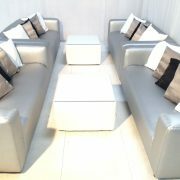 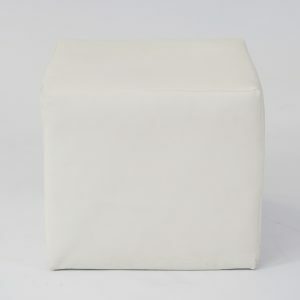 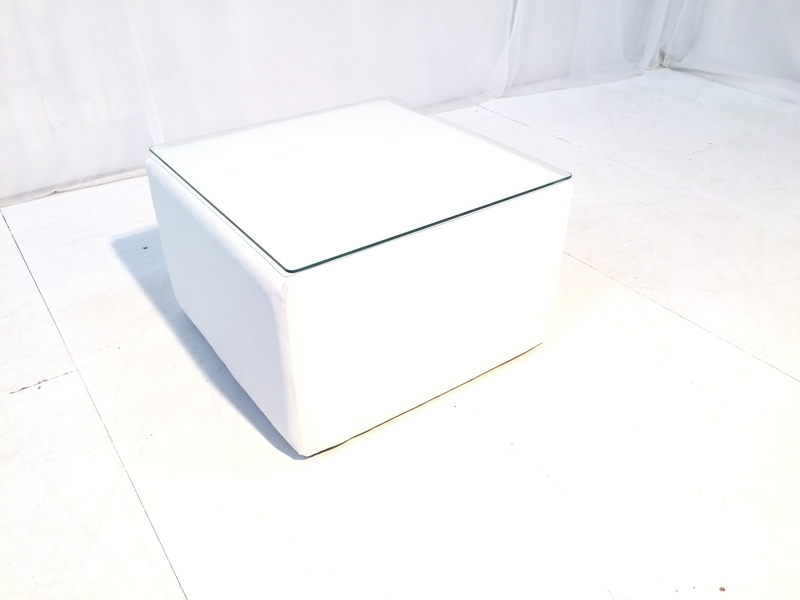 The Cabo large white square table is covered in faux leather, with a glass top. 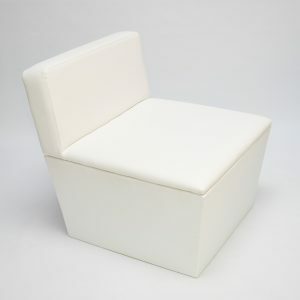 Invisible non-slip feet help to keep it securely in place. 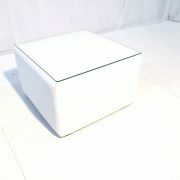 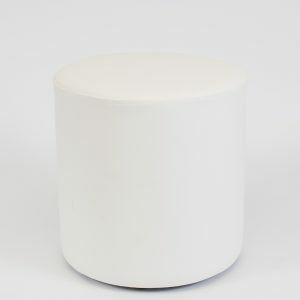 This white side table also comes in small size. 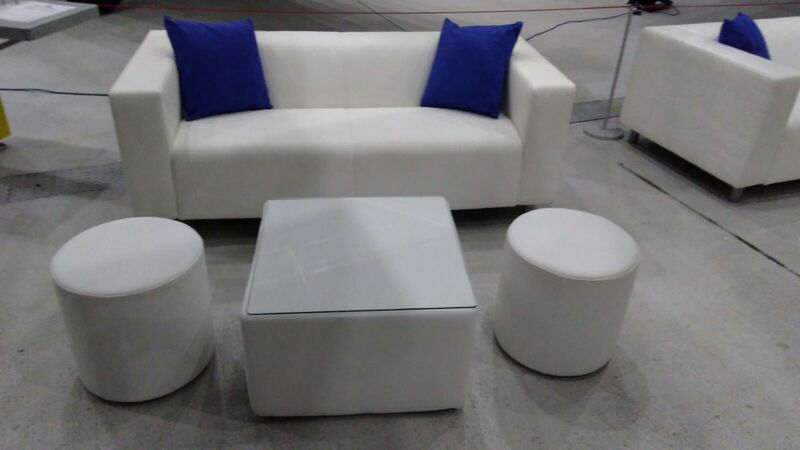 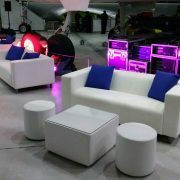 Hire the large White Cabo Table for almost any event – it’s a really versatile furniture item! 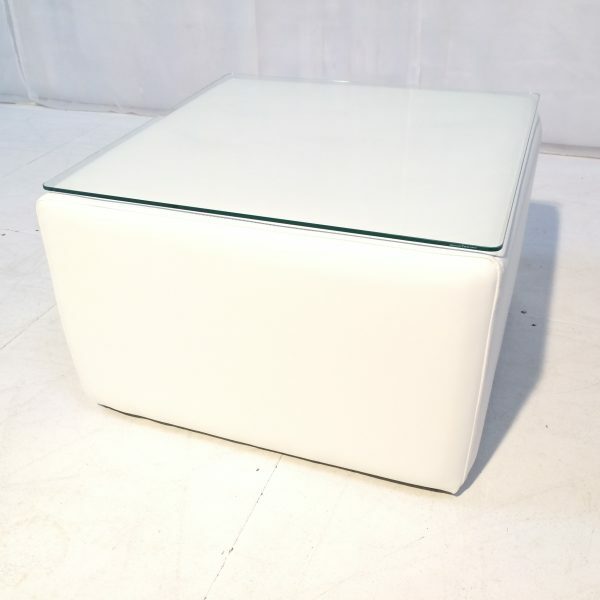 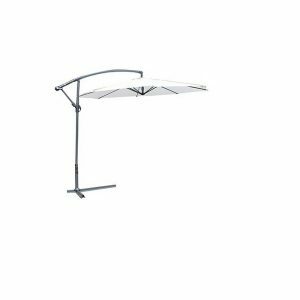 One of our most sought after hire products, this large White Cabo Table goes with almost any of our furniture hire ranges. 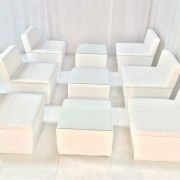 The perfect size to team with our Club Lounge Sofas, as a coffee table, it looks equally good for a drinks party, a wedding or a corporate event. 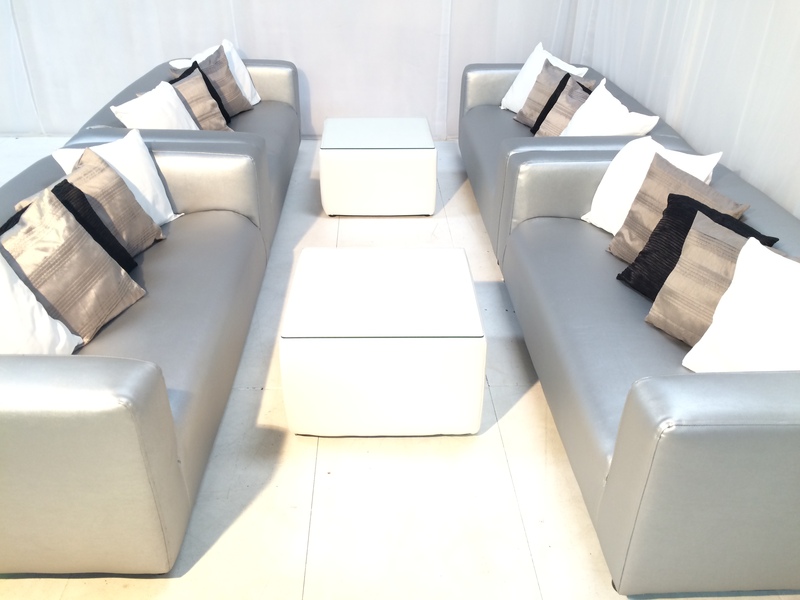 For the finishing touch, don’t forget to hire some shiny silver champagne bowls! 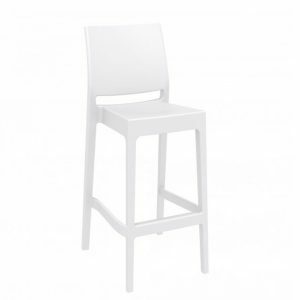 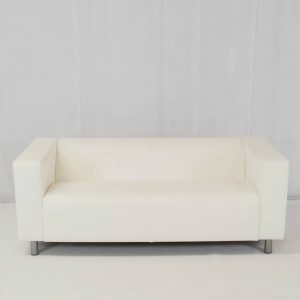 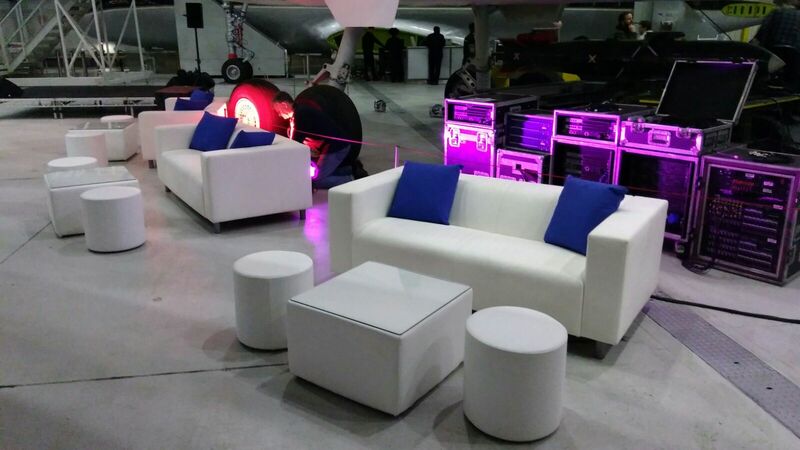 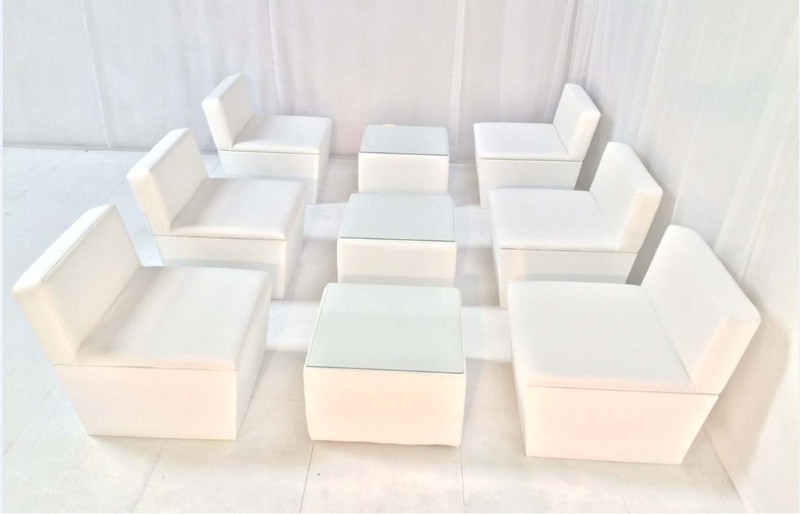 As experts on white furniture hire, why not contact Rio Lounge and we will help you put together some amazing furniture pieces for your next event. 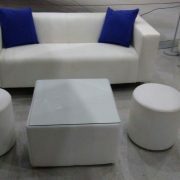 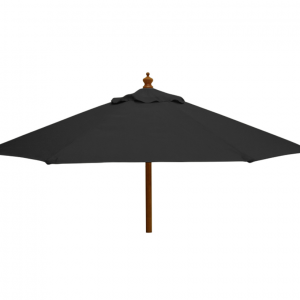 Our Cabo Tables sell out fast, so make sure you request your quote today!